The project managers at Midwest Door & Hardware are the superheroes behind the scenes! 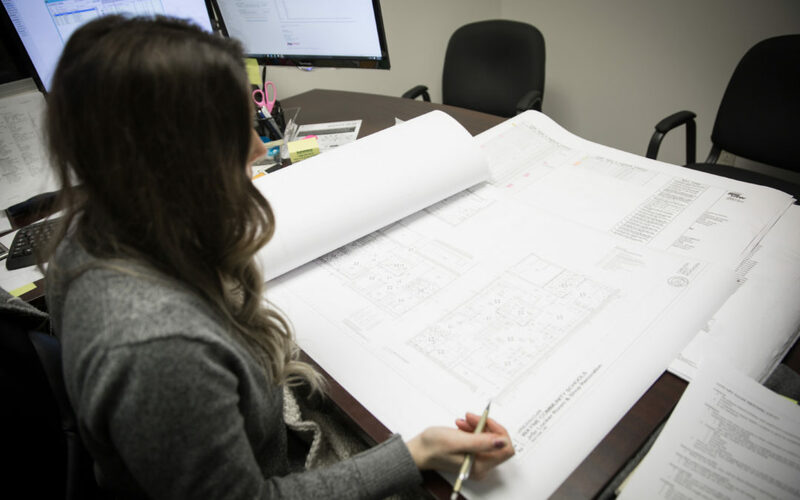 The main responsibility of each project manager is to ensure the project has a completed set of shop drawings — from drafting the drawings, to getting them approved by the team, our project managers stays on top of the details for each client. You’ll also find the Midwest Door & Hardware project managers developing, planning, coordinating, and directing the workflow through production. Organization and experience go hand-in-hand with the daily tasks of our team. While everyone on our team wears multiple “hats”, these folks bring a whole new meaning to this common phrase. They’re knowledgeable in all aspects of their projects and help execute all the details from the minute we get the bid. Beyond planning the details of orders and measurements they also work with the manufacturing team to discuss design intent and assembly drawings, or shop drawings. Our project managers work directly with our clients to make sure they understand design, building requirements, and codes. They also work with our sales team to schedule deliveries and installation. Let’s get to know the team a little better! 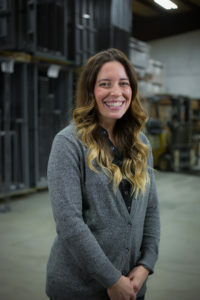 Kaelyn is a well-known member of the Midwest Door & Hardware team. Starting as an administrative assistant and working up to a project manager has given her irreplaceable experience in the company and industry. With an interest in drafting and architecture, the move to project manager was an easy transition for Kaelyn. Kaelyn says, “Since I worked at the front office first, I have really gotten to know a lot of our customers. It’s really rewarding to help each and every one of them.” With an ever-changing industry, there’s something new to learn each day — which is what keeps Kaelyn coming back for more each day! Outside the office, Kaelyn loves to use her textile background to sew pretty much anything, including baby shoes that are sold by a local company. She stays plenty busy with that as well as chasing around her two kiddos. We’re glad to have Kaelyn on our team! 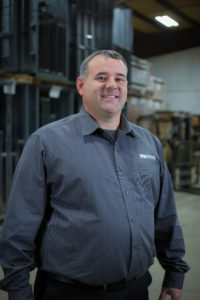 Errol has been on the Midwest Door & Hardware team for nearly 10 years and knows the industry inside and out. Starting as a purchasing manager in 2009, Errol has worked with clients and project details for eight years. Finding answers and solutions to any customer request is what drives Errol to do his best work each day. The people [coworkers and clients] are Errol’s favorite part of working on the Midwest Door & Hardware team. In his free time, Errol loves to spend time with his kids, coaching their sports teams and teaching them all about hunting and fishing. A true Husker fan, you know where to find Errol Errol cheering on the Big Red during football Saturdays. Loreen is the newest member of the Midwest Door & Hardware team. She has plenty of experience in the industry and the team benefits greatly from her skillset. Being able to learn new things on a daily basis is one of Loreen’s favorite parts of the job. In her experience, she was responsible for over $1 million worth of stock and ordering from over 30 different suppliers. 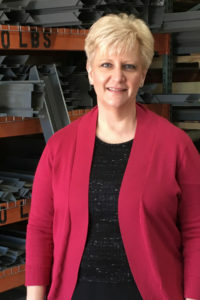 Now at Midwest Door & Hardware, she is preparing bids and quotes on projects and submitting shop drawings to contractors. Loreen lives in Seward, NE where she is a member of the Seward Municipal Band, which performs during the summer at the Seward Bandshell. When she’s not spending time with her family, you’ll find Loreen in her yard gardening or inside working on her next quilting project. STOP IN AND MEET THEM IN PERSON! At Midwest Door we pride ourselves in our whole team. We are here to serve you and we do our very best to get it right the first time. Stop by our showroom or give us a call, to ask Kaelyn, Errol, or Loreen any questions!